Grilling mangos brings out their natural sweetness. Just drizzle them with a little honey and a sprinkle of chile powder for a fast and easy grilled dessert or side dish. Summertime is not the time for heavy desserts around these parts. I like to go a little lighter by throwing some fruit on the grill to caramelize the natural sugars without adding any additional sugar. Grilled mangos are my personal favorite but grilling pineapple and peaches make a fantastic dessert too. Serve the grilled mangos with a nice green salad or pile it on top of a bowl of ice cream. Don’t forget the spritz of lime juice! I’ve added this recipe to the Clean Eating Challenge that I am co-hosting with a great group of other bloggers who want to make it easy for our families and foodie friends to find good, healthy recipes to help their families “clean up” the food they are eating and find new, healthy additions to the family table. Try these Grilled Mango Skewers with Honey and Pistachios and then head on over to my fellow blogger’s sites to see the yummy things they have cooked up. If you head over to another blog, go a had and leave the bloggers a comment and let them know you came for their healthy recipe ideas. You can always leave me a comment on Facebook or here on the blog at the bottom of any post. We love hearing from you so be sure to follow us on Facebook or Twitter and sign up for our email updates so you will never miss a new recipe. Grilled mangos have natural sweetness. Just drizzle them with a little honey and sprinkle with chile powder and pistachios for a fast and easy dessert or side dish. Cut the large "cheeks" off of each side of the mango. Peel each mango cheek with a pairing knife and cut into large cubes (usually 6 cubes per cheek, depending on the size of the mango). Place six cubes of mango on each skewer. Grill over a preheated bbq grill or grill pan until grill marks are as dark as you would like. If the mango are soft and ripe, only grill one side of the mango. Try to grill them quickly so the mangos do not become too soft. 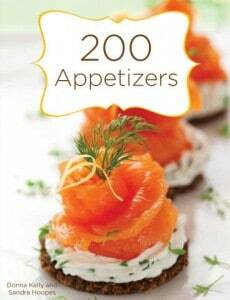 Place mango skewers on a serving plater. Drizzle with honey and sprinkle with pistachios and chile powder. 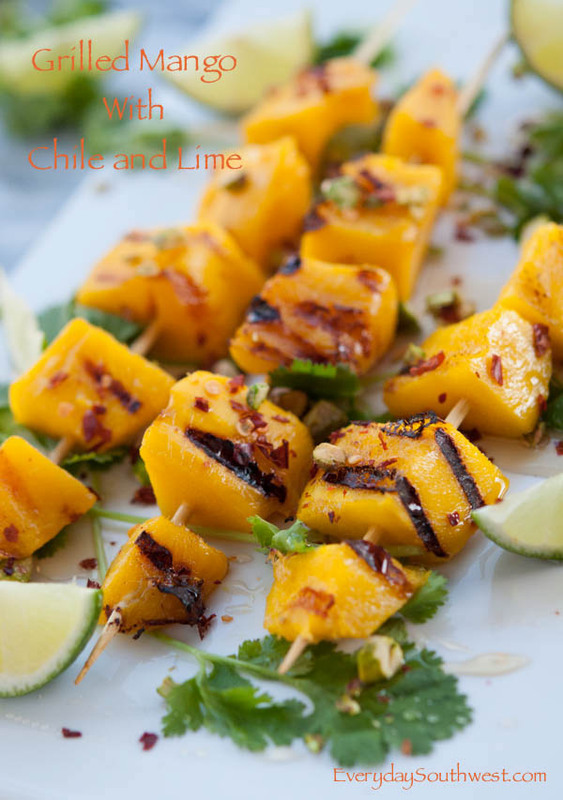 Serve with lime wedges to spritz on the mango skewers. I just brought a box of mangos aboard, and can’t wait to fire up the grill to try a few skewers. The same treatment should make pineapple super delicious… and then there’s peaches… Forget dinner, let’s all enjoy dessert! Love this idea. And why didn’t I think of it? Since I’m a sweet/salty combo fan, I’d love to skewer these with small bites of chicken and the same seasonings. Pinned. Ooooo, yes! Chicken would be great on these mango skewers! Thanks, Lea Ann.